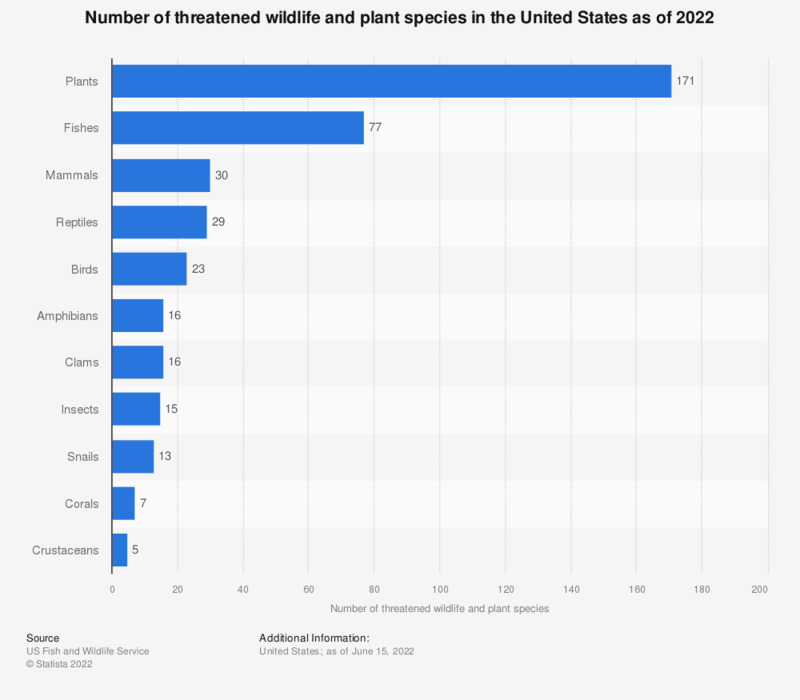 This statistic shows the number of threatened wildlife and plant species in the U.S. as of October 19, 2018. As of October 2018, 11 insect species in the United States are likely to become endangered in the foreseeable future. Threatened species: species likely to become endangered in the foreseeable future.